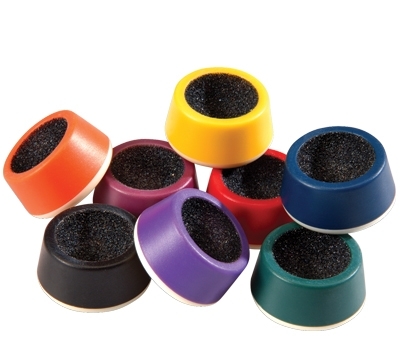 The Manicue Cue Tip Shaper has a cut-in, dome-shaped interior that fits neatly over your tip for shaping. 1 1/4" diameter. Specify color (black, blue, burgandy, green, orange, purple, red, or yellow).